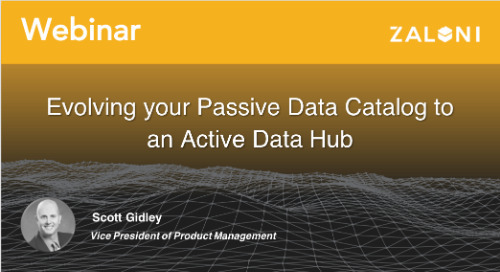 Empowering the business: that’s where an “active data hub” differentiates from a “passive data catalog”. 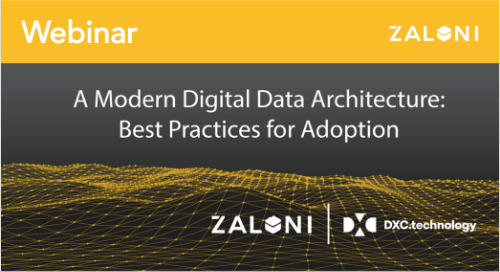 Join experts from DXC Technology and Zaloni as they present solution designs and use cases for simplifying and accelerating adoption of a modern, digital data architecture. A majority of the data collected by organizations today is wasted. So how can they start utilizing their data for powerful results? 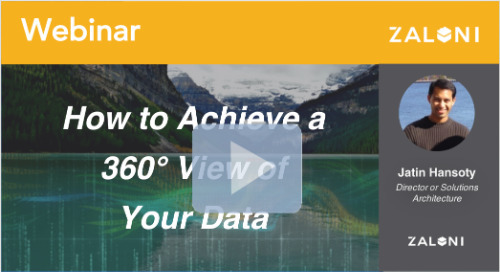 Learn about real-world examples using Customer-360 initiatives. 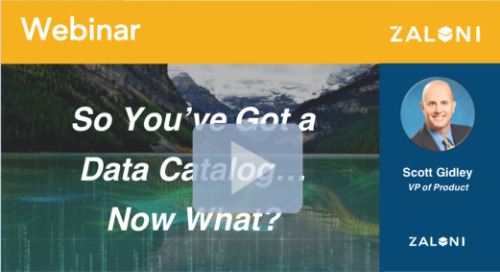 So You've Got a Data Catalog...Now What? 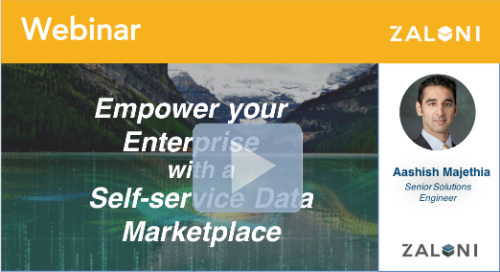 Learn how organizations are looking to build actionable data catalogs that allow self-service access to data without sacrificing data governance and security policies in this webinar by Scott Gidley. As more organizations make the shift to cloud, they’re finding the number of data processing options are staggering. Should they choose Spark over Presto? Join Raj Rana as he answers this and more! 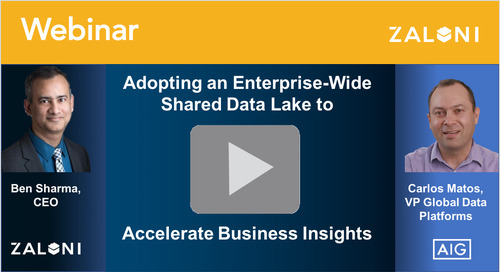 Data lake implementations can get out of scope and out of control quickly. 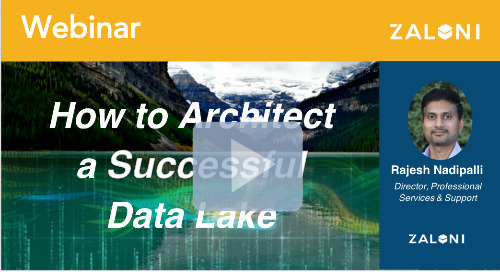 Learn the benefits that a turnkey data lake solution can provide. 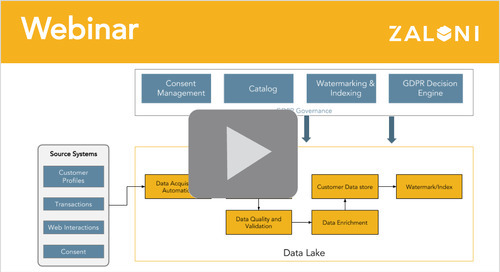 Raj Nadipalli discusses what it takes to make data your most valuable asset. 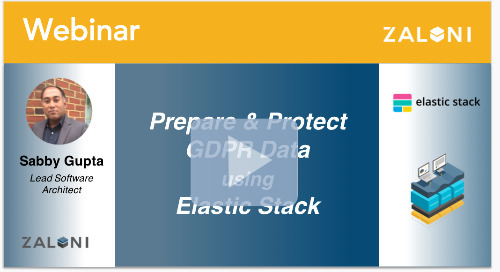 Join Sabby Gupta as he leads the discussion around utilizing Elastic Stack to prepare, protect, and enforce privacy within GDPR data. 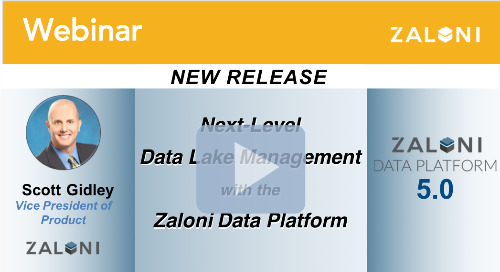 The Zaloni Data Platform (ZDP) has just released its latest version, 5.0, which provides exciting new features to address the growing demands of data-driven companies. 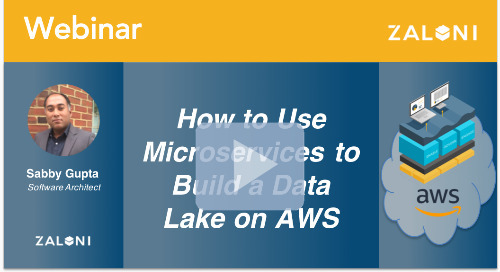 Join Sabby Gupta as he discusses how a microservices architecture can be used to successfully build a cloud-based data lake on AWS. 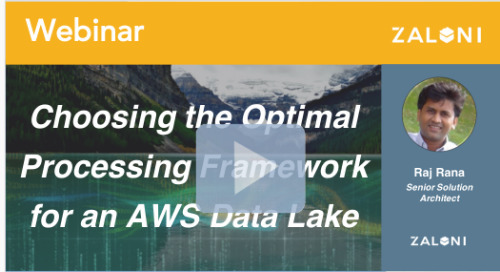 Raj Nadipalli dives into cloud-based data lake use cases utilizing, cloud-based data lake architectures utilizing AWS, Azure, and more. 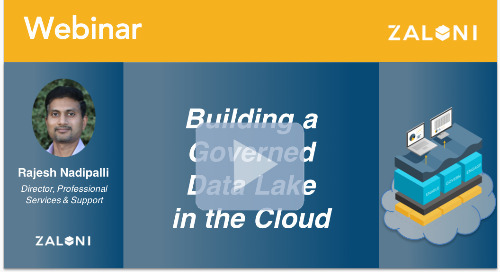 All roads lead to cloud: (almost) everyone knows that now. Check out this episode of Inside Analysis to hear host Eric Kavanagh interview several experts, including Parth Patel from Zaloni. As more companies delve into the world of big data, they’re seeing that it’s not wise to dump data into a data lake without proper guards in place. 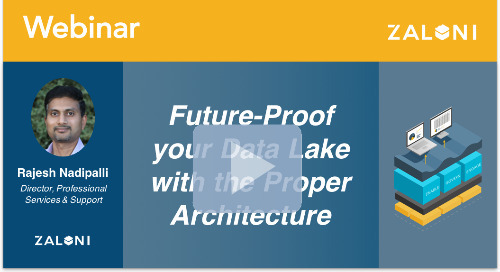 Learn how to future-proof your lake in this webinar. Sink or Swim? 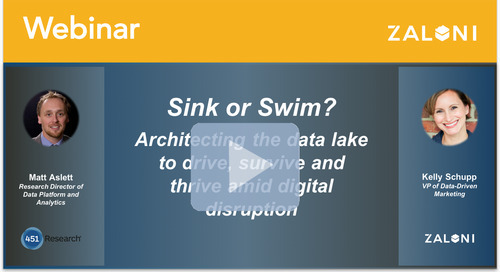 Architecting the data lake to drive, survive and thrive amid digital disruption. 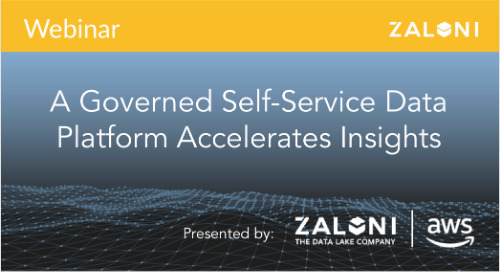 Matt Aslett, Research Director of Data Platform & Analytics at 451 Research and Kelly Schupp, VP of Data-driven Marketing at Zaloni, will discuss ideal data lake use cases such as Customer360 and IoT. 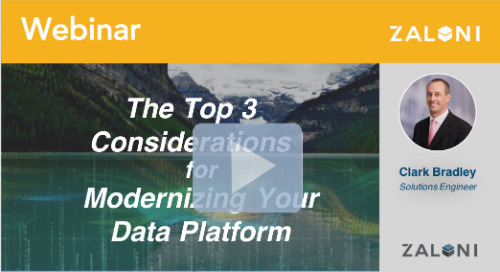 Today's enterprises need broader access to data for a wider array of use cases to derive more value from data and get to business insights faster. 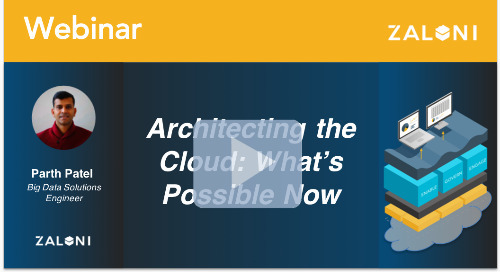 Learn how you can too through our latest webinar. 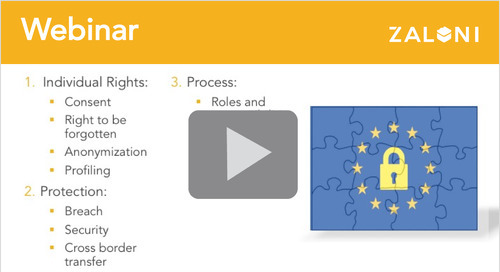 If you are concerned about your GDPR compliance initiative, or just interested in verifying your current path, then this is a must-attend webinar. GDPR takes full effect in less than a year, at which point substantial penalties can be incurred for companies whose data does not comply. What do you need to do to insure that you are ready?